Eight years ago, I was at the point where I couldn’t walk without pain or stand for any length of time. If a friend invited me to a museum or an outdoor event, I would panic thinking about whether there would be places for me to sit down; so instead of looking forward to what should be a lovely outing with friends, I dreaded the event or declined the invitation. If I went grocery shopping one day, I couldn’t cook in the same day because it would be too much time on my poor arthritic feet and knees. When no one was looking, I would crawl up the stairs at home on my hands and knees at night when the pain became unbearable, because it was just so much easier. We sold our home that I had lovingly renovated because I could no longer do the stairs or deal with having to park blocks away. This was all very discouraging and depressing, but it was just my life. I had no idea I didn’t have to feel that way! I had no idea that I had the power to make some pretty straight forward changes that could radically improve my life. I started reading a lot about arthritis and inflammation and sought the help of a functional medicine doctor to help me understand what I could do to get my situation under control. Fast forward a few years and I was back to walking several miles at a time, shopping and cooking in the same day and feeling pretty close to “normal,” but it was my “new normal!” Yes I still have severe arthritis in my feet and knee (one knee has since been replaced) BUT I discovered that certain foods were actually fueling my pain. Yes I also lost 60 pounds, but it was really the change in diet, exercise and other lifestyle factors that made all the difference. You see, you have more control over how you feel than you probably believe. As a health coach, I see it over and over again. Certain dietary and other lifestyle changes make huge improvements in people’s quality of life and in how they feel day to day. I have had clients realize they have more energy, their joints no longer hurt, they aren’t constantly running to the bathroom, their moods are more stable, and many other positive changes. 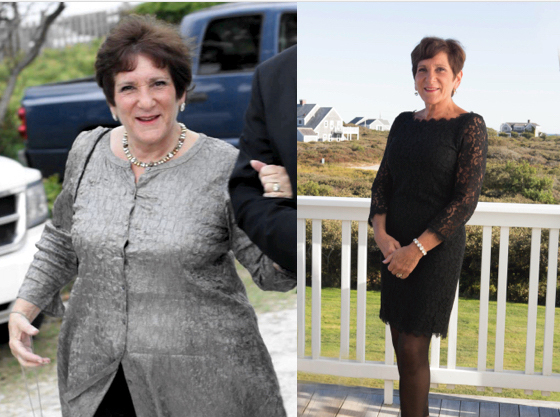 For instance, my client Darlene recently shared her life-altering journey back to good health. On this day in 2014 I weighed 245 pounds and I was 56 years old. My BP was 160/90, my cholesterol was 7.6 Canadian, (298 American) .. I was on pills for pills (4 in total), I took pills for GERD, I took major strong Opiate pain killers for nerve pain due to fibromyalgia. My Doctor told me I was going to die on that day. Before I left his office I had a plan. I wanted to be healthy and I wanted to live. I am 60 … I hold my weight steady at 116. My blood tests are “those of a 25 year old” according to my Doctor. I take NO Meds … I kicked the Opiates 6 months ago and have No pain. I run 5 KM a day. I have worked with Marcie for a few years, I have done 3 of her group programs and have driven her crazy with questions on Messenger. She taught me to lose my fear of healthy fats. She taught me why sugar is the Devil. She taught me to get enough protein. She taught me to control my stress and exercise. She got me through an overwhelming and controlling addiction to a certain “vending machine” at work that controlled my stressful days. Since I gave up sugar, and most of the whole food carbs which contain it, except for 1 cup of berries a day, since I started eating lots of healthy fats, and upped my Protein , my energy is through the Roof … I don’t even know what to do with myself some days … so I exercise more … in the fresh air. … walk in the country. I am living my later years .. not just “Living” but “Thriving”. Learn what to do. Make a Commitment to yourself and Stand By It. Pretty amazing, right? So many people live with chronic pain, skin conditions, type 2 diabetes, regular gastric distress and a whole host of other issues without realizing there is an alternative. Is the answer always easy to find? No. Is there a process one can go through to figure it out? Yes. 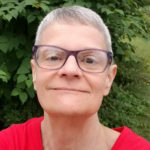 The radical change in my own quality of life is what propelled me to change careers and get certified as a Health Coach. It is so frustrating for me to watch people struggle without realizing they have an alternative. They just don’t recognize that there is a problem that may have a solution. I believe most people truly have no idea how much better they could feel if they would just be open to learning and trying a new approach. Our bodies are amazing machines. They are also very complicated. Given we live in a toxic world, there is much that can go wrong. Yet I have seen determined people, like me, like Darlene, take back their health. Food can be very powerful medicine (or powerful poison!) and figuring out what really works for you can make all the difference in the world. Does this resonate with you? Have you considered that you could possibly find a “new normal?” If so, I would love to hear from you.